Situated next to the Piazza San Marco at St. Mark's Square, this stunning public garden is full of mature trees, colorful flowers, pathways, green foliage as well as benches to enjoy the calm atmosphere. The Royal Gardens were originally built in the early 19th century by the Eugene Beauharnais on the orders of Napoleon. 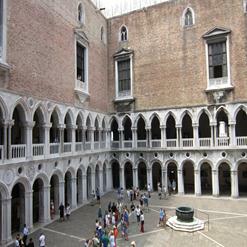 The garden is also the location for the annual Venice Art Festival. Fountains, duck ponds and plenty of benches as well as the winding pathways, make it an excellent spot for a picnic.